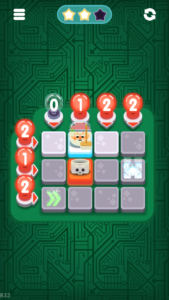 Sweeper Genius Is Currently In Beta/Early Access Mode In Google Play Store. This Game Is Little Bit Similar And Based On Classic Mine Field/Minesweeper Game. If You Have Ever Played Minesweeper Game Then You Can Easily Play This Game. If Not, Then Tutorial[When Game Starts] Helps You. In This Game, You Help Aristotle, A Genius Sweeper With A Broom Escape From The Aliens’ Scientific Experiments, Discovering Where All The Mines Are. It Is A Single Player Game, Your Objective Is To Reach The Final Point. Read Numbers To Know How Many Mines There Are In Each Column And Each Row. You Have Three Chances On Each Level. If You Lose All, Then Game Will Be Over And You Need To Restart The Level. You Use Flags[Press/Hold] To Mark The Tiles Which Contain A Mine. 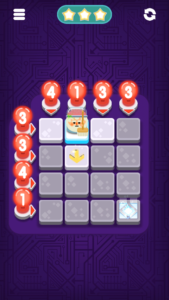 Sweeper Genius Comes With Over 50 Levels, Nice Gameplay, And Graphics. It Is A Paid Game, Developer Is Offering Special Early Access Price. You Can Grab It From Google Play Store By Paying Some Cents. However, Minesweeper[Classic] Game Is Available For Free. Price – Paid. Size – 30MB[Approx.]. Status – Early Access. Download – Here[Google Play Store].